← Hi, I am used to using PowerPoint 2000. 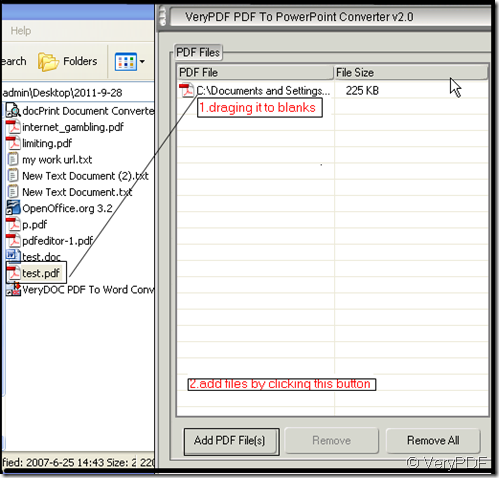 Can I convert my PDF file to PowerPoint 2000 format with VeryPDF PDF2PPT Converter? Yes, PDF2PPT Converter works well in PowerPoint 2003 format. 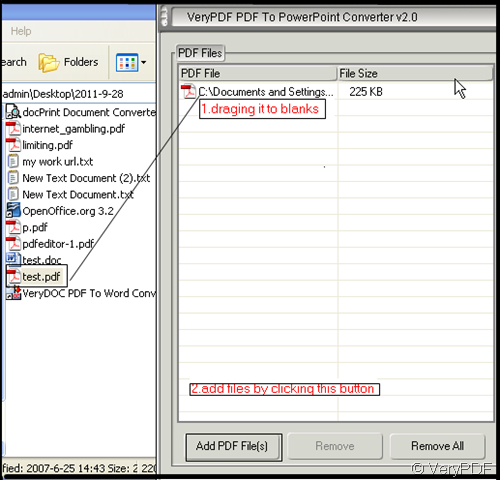 PDF2PPT-PDF to PowerPoint Converter Just as its name implies, it is a converter from the pdf file to ppt. 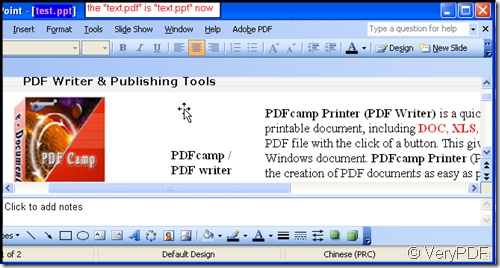 pdf (Portable Document Format) is the global standard for capturing and reviewing rich information from almost any application on any computer system and sharing it with virtually anyone, anywhere. Bu it can not be shown freely as PowerPoint does. Based on this defect of pdf file, PDF to PowerPoint Converter was born. Aiming to add both of pdf and ppt files superiorities together. 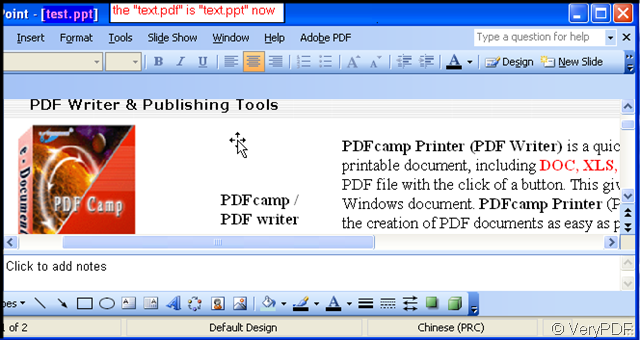 PDF2PPT supports Microsoft Office 2010,2007,2003,2000,etc. formats; Then I will show you the whole process from downloading to saving ppt file in PowerPoint 2003. If you click download “Download”,you will get a trial version. If you need the full version of PDF2PPT , please click “Buy now” on our website to get the full function version. This is a SWREG-Secure ordering system. Once you get PDF2PPT successfully, you will see its interface. Then let see the detail steps of operating it. 2. According to your own requirement to the converted pdf file format, content and page range, choose the menu options on the left menu bar. If you have set the password for the source file, please input the password in the “PDF File Password”. 3. Then it is converting time, it only takes a few seconds to finfish the converting form the pdf file to ppt file. If your docPrint support Asian language characters? how do I test this feature? Can I view the PPT file immediately after I convert it from PDF?